Today I was hiking on Mt. Bandai. On the lower slope of Mt. Bandai, autumn leaves were at their best. 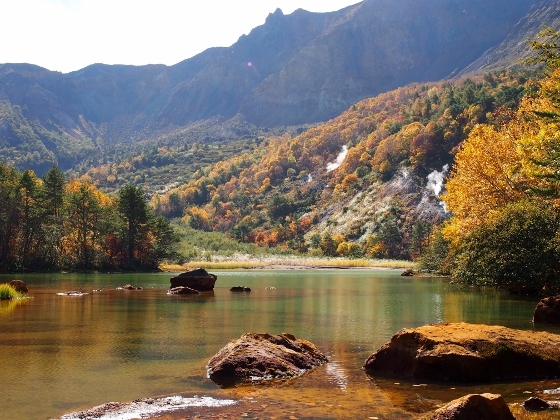 I also visited Akanuma Pond which was located along the mountain trail from Urabandai Ski Slope. Mt. 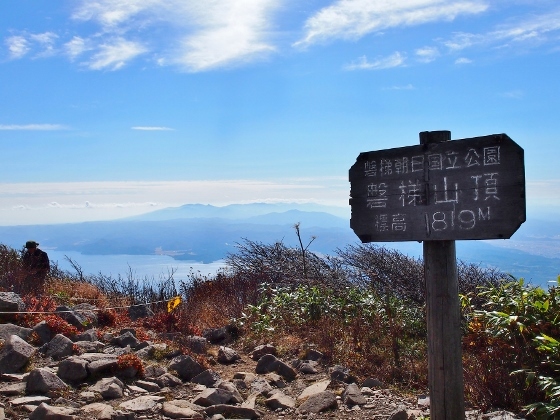 Bandai has several trails to its peak. 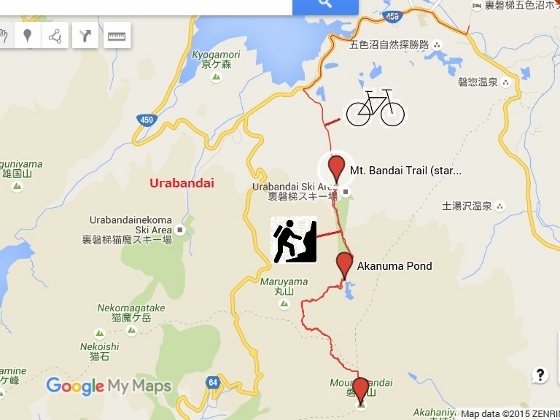 This time I chose a trail which starts from Urabandai Ski Slope. 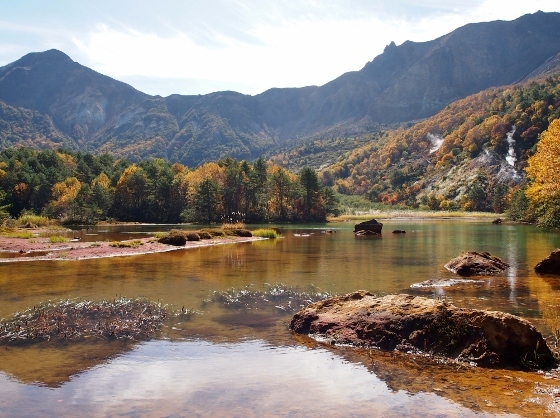 Akanuma Pond which often shows mysterious scenery is along this path. 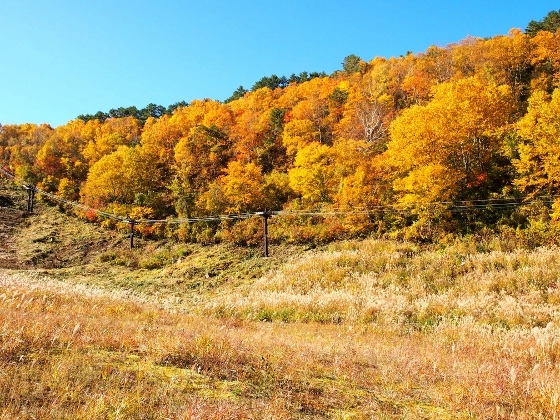 Autumn leaves were at their best along the Urabandai Ski Slope as shown above. 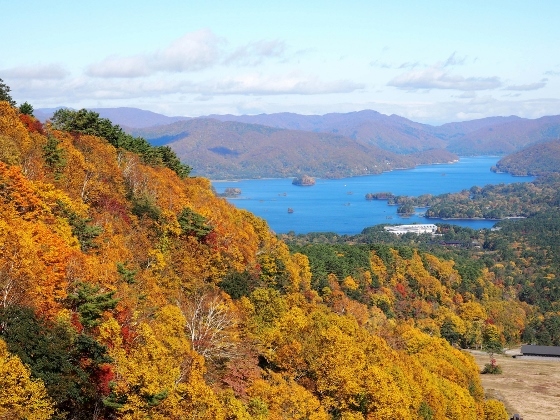 When I reached at the top of the ski slope, spectacular scenery with Lake Hibara and autumn colors on the slope appeared as shown above. Within 20 minutes from the ski area I arrived at Akanuma Pond. This pond contains iron, aluminum, and manganese making strange color. This morning the pond showed mysterious scenery surrounded by autumn colors as shown above. 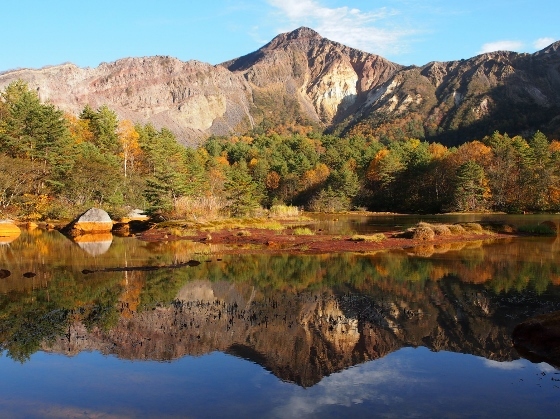 On the way back I stopped at Akanuma Pond again and this time it showed different view together with Mt. Bandai lighted by afternoon sunlight. From the top of Mt. Bandai I could see part of Lake Inawashiro thanks to the clear weather as shown above.